We buy some frozen sockeye salmon and sort through the uneven portions in the bag. We decide that John will have the larger ones and I will have the smaller ones. I make the tartar sauce that the Fish Market has. (I have gotten this recipe from one of the cooks at the restaurant.) Next I steam some new potatoes, and string and quickly saute the snow peas. In the meantime John cooks the salmon mostly on the skin side with a quick flip on the other side at the end. The whole dinner takes less than a half an hour to make. As a person who loves vegetables the most, I have to say that I really, really enjoy the snow peas and the potatoes. This is probably because I put the tartar sauce on them as well. John is not totally pleased with the quality of the salmon. But I think the most important thing is that we are eating almost all of our meals at home which gives a chance to control what goes in them. Plus, it’s fun and we enjoy the cooking and being with each other. Oh, we also have a fancy wine for our dinner night. 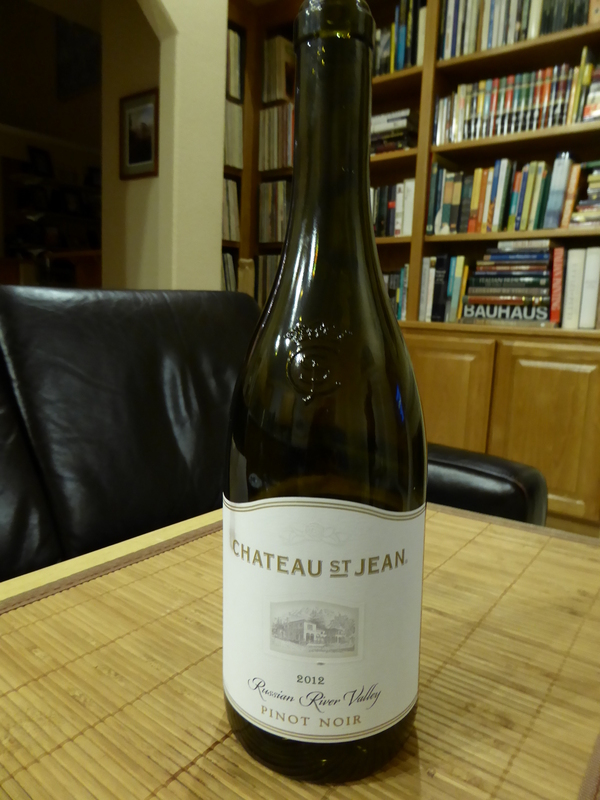 It is a Chateau St. Jean 2012 Russian River Valley Pinot Noir. It goes really well with our salmon dinner. 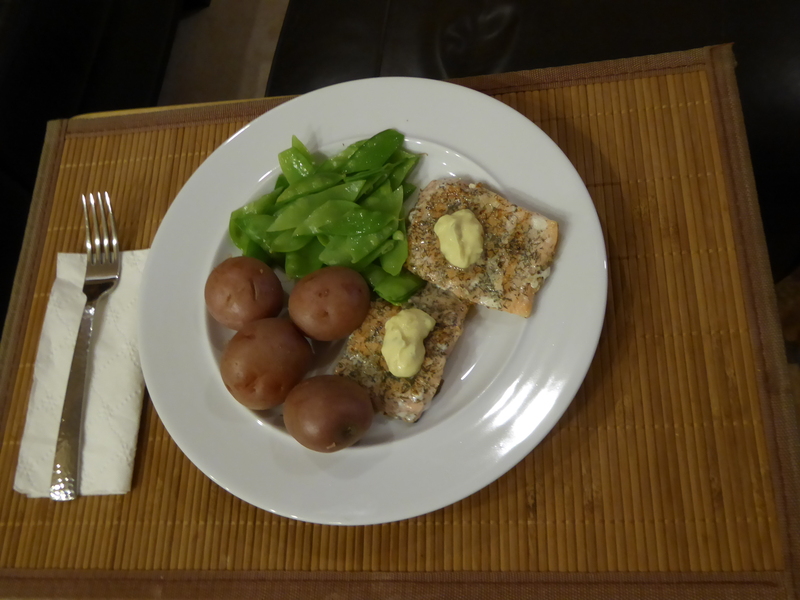 This entry was posted in Fish and tagged new potatoes, pinot noir, salmon, snow peas, tartar sauce. Bookmark the permalink.